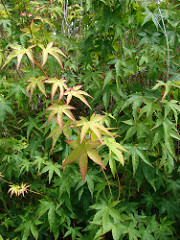 Being a deciduous tree, the Japanese maple is indeed adapted for cold climates. Hawaii, as well as other tropical locations, does not provide the best growing environment; yet the trees will grow in these areas. I have one Japanese maple that is now 9 years old. Admittedly, it is not the most vigorous tree, and I think it is continually looking for winter. Sometimes it goes dormant in spring or even in the middle of summer, but it still grows. A question might be, how many years can it survive without experiencing a dormant period? 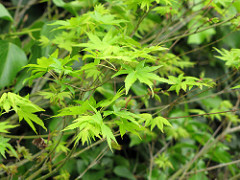 There are over 1000 cultivars of Japanese maple. Obviously some will adapt to tropical regions better than others. Usually, nurseries select those varieties best suited for their area. Regardless of the climate, another problem is an insect called Chinese rose beetle. This beetle makes holes in the leaves weakening the tree. In the evening, when beetles are feeding, placing a cover or netting over the small trees will exclude the pest. Another choice for control is to use a systemic insecticide with the active ingredient imidacloprid. Granules can be applied to the pots and watered in. On this website, gardenguyhawaii.com I have a detailed report on this pest; search Chinese rose beetle in the space on the left of the screen.